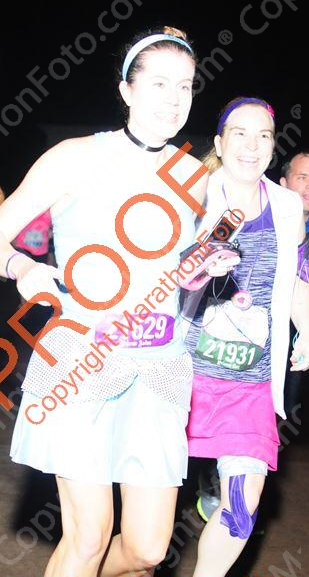 Cori and I woke up early Saturday morning and headed to Epcot for the Enchanted 10k. 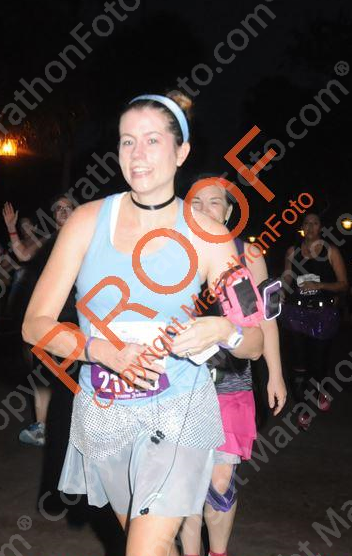 It was my first 10k at WDW and I was excited to try out the new course. We met up with Kristin (A Mom on the Run) and Cori ran into one of her friends from back home. We chatted for a while and then started to head to our corral since they had announced it was time a few minutes before. Kristin and Cori's friend headed to the A corral and we headed to the B. Right before we went in, Cori headed to the bathroom--which stressed me out (remember from earlier how I don't like being late) but I took the opportunity to snap another pic. Well just as it was her turn, our corral started walking so I wasn't too happy about that and about being in the back of the corral. Oh well. This corral start was interesting. I'm not sure how to describe it but it started different than normal. The A corral went off at 5:30. I thought that the 10k would be like the half with only 2-3 minutes in between but it seemed like it was forever until we started. My Runkeeper app said 5:41 so 11 minutes between starts. Too long in my opinion. Anyways, like always, I love the fireworks start! Soon we were off. I was nervous again for this race because I didn't know how I would feel. 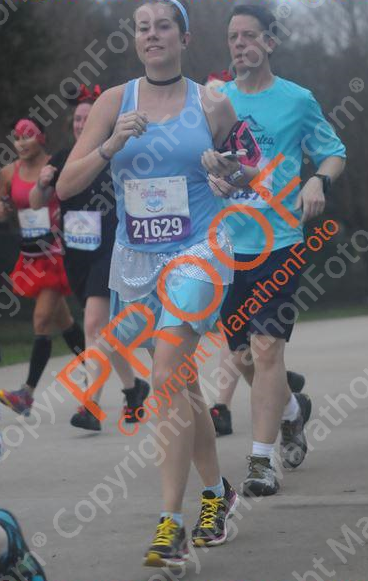 I hadn't run at all in 6 weeks, and I wasn't supposed to be running this race (or for another 6 weeks after). Luckily, I was never in any pain! Towards the beginning of the run, we saw Elsa up on one of the overpasses and it was "snowing". Pretty cool! 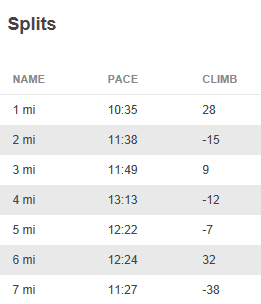 And that was pretty much all of the entertainment for the first half of the race (or longer). It was honestly pretty boring for a Disney run. Even the 5ks are more entertaining. There is plenty of spaces for there to be more entertainment. 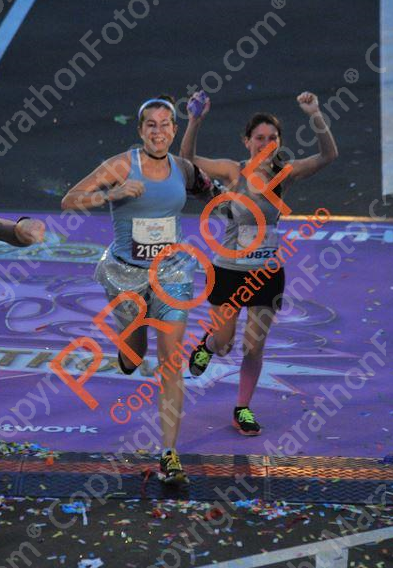 I decided I prefer half marathons over 10k at WDW and 10ks over half marathons at DL. Hopefully runDisney will step up their 10ks at WDW! It was definitely a gross morning. Very foggy and hot. We don't normally stop at water stations during 10ks but it was so humid, we knew we needed to. But at the first stop, there was no Gatorade (and I don't drink water). Nor was there any at the next one, or the one after that. When I asked runDisney about it afterwards, the guy said they only have Gatorade for half marathons or longer. Ugh. Not cool for those of us who don't like water and it was hot enough that I'm sure there were plenty of people who needed electrolytes! 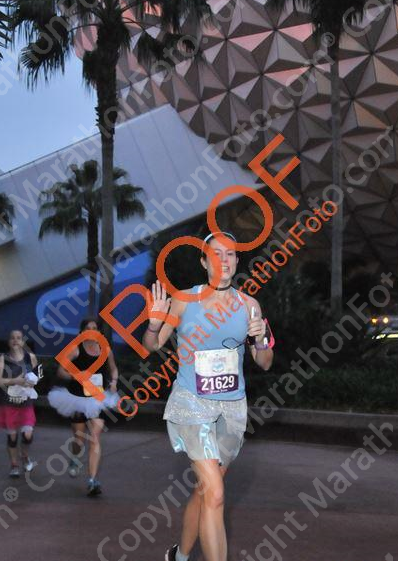 Anyways, we came into Epcot and started our run through the park. Then we ran out and through the Boardwalk and Yacht and Beach area. Before we knew it, we were done! 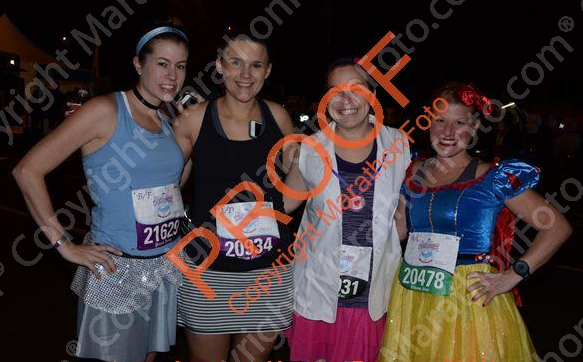 Definitely not my favorite runDisney race, but I'll try to do it for as long as I can so I can get Legacy! After the race, we got our medals engraved and headed out to Cori's car. Which wouldn't start. We had to get the nice security guards to help us. They couldn't figure out what was wrong so they called the car help place that's over by MK and the guy pretty much got it started right away! Poor Cori felt bad but I didn't mind. It made for a good story!! Your costume is too cute! And it's interesting to read your perspective on the race, since it was my first and only Disney race so far. I had expected more entertainment from what I had heard, but it was still fun. Hopefully they add more next year because there was definitely room for it! I'm heading over to follow your blog now too! Fun! 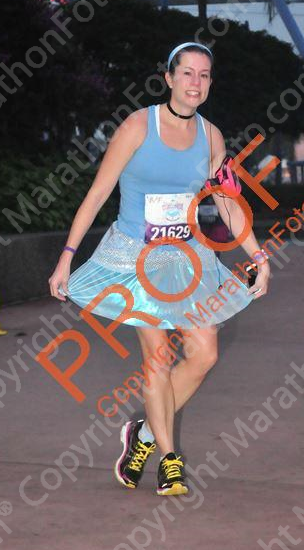 Another blogging runner-look forward to hearing about more disney races, I'd like to pick one someday! You should definitely come down for a Disney race. They're so much fun!